Luciano Bove is born in Nocera Inferiore Italy in 1963, at the age of 19 he moves to California to start his adventure to become a car designer with the objective to be accepted by Art Center College of Design in Pasadena. In 1989 he got the Bachelor in Human Science in the field of Transportation Design at the Pasadena Art Center College of Design, California. 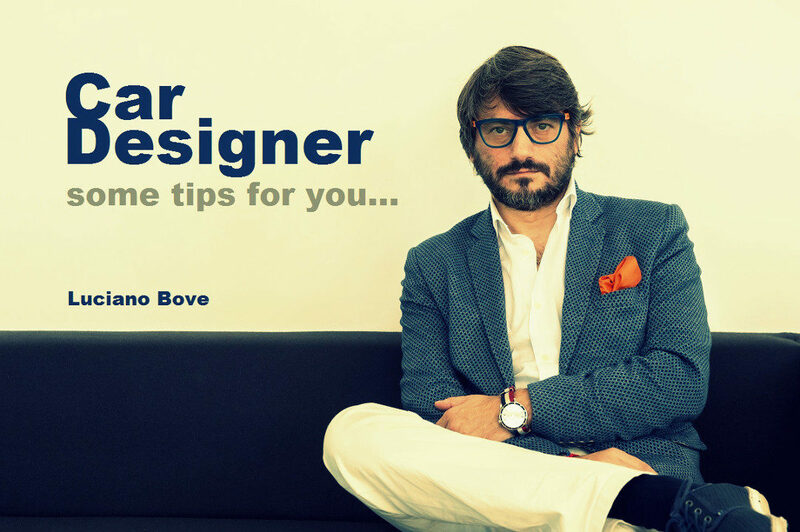 Luciano Bove in November 89′ starts to work at the FIAT Design Center where he remains for 12 years making an incredible instructive experience, one of the most important projects at Fiat is: the Fiat Seicento design & management 1995/98 . In January 2000 he moves to Renault Design Center becoming Senior Design Manager at Renault Technocentre in Guyancourt, France where he still works today as R&D Design Manager responsible for projects with new technologies. Most relevant projects at Renault are Kangoo II & the Renault EV Twizy City car. Luciano Bove gave design lessons during his designer career, starting in 1991 teaching at Art Center Europe in Vevey CH, IAAD Turin school in 1992/94 and IED Turin in the period 1994/2000.